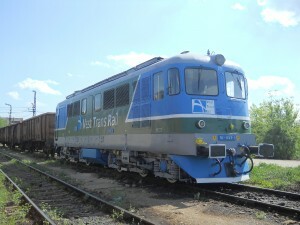 Vest Trans Rail ensures availability, professionalism and trust in relationship with its partners both, for national and international transports, doing transport on public and private infrastructure of Romania. International transports are done in optimal conditions, due to the collaboration with railway operators from all over Europe and based on delivery-receipt conventions, for transports in border railway stations, concluded by Vest Trans Rail with operators from Hungary (Rail Cargo Hungary, MMV Hungary, Gysev Cargo, Central European Railway Company, Floyd Budapest), Bulgaria (Bulmarket DM Bulgaria, BDZ Cargo, Bulgarian Railway Company) and Serbia (Serbian Railways and SZDS). Vest Trans Rail offers a full range of services in rail freight forwarding and also other related services with railway transport of goods, including detailed analysis and advice in order to propose its clients the best transport solutions.